Can I Sue Someone Who Falsely Accuses Me of Domestic Violence? There are multiple reasons why someone might file a false domestic violence report. For example, in the midst of a hotly contested divorce or child custody battle, one parent might think they can gain the “upper hand” by accusing the other of abuse. Or perhaps one partner is an undocumented immigrant and the other uses the threat of a domestic violence accusation to control them. Whatever the reason, a false domestic charge is a serious matter. Even if no formal court action is ever taken, the falsely accused person’s life can be turned upside down. So the question then becomes, Is there anything the victim of a false accusation can do–legally–to hold the accuser accountable? A trial judge dismissed the husband’s lawsuit. But the Florida Fifth District Court of Appeal reinstated the case. Without deciding the merits, the appeals court held both of the husband’s claims presented viable legal arguments. As for malicious prosecution, the wife argued this charge was invalid because the state never declared her husband “innocent of the criminal charges.” But Florida law requires no such declaration to proceed with a civil malicious prosecution lawsuit. Instead, the threshold issue is whether or not the “prior litigation giving rise to the malicious prosecution suit ended with a ‘bona fide termination’ in that party’s favor.” That is exactly what happened here: The State’s Attorney declined to prosecute “after a review of the merits” of the case. It may not always be in someone’s interest to pursue a civil lawsuit against their accuser. 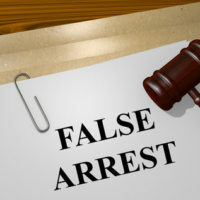 But it is important to understand there are legal options available to individuals who are falsely accused–and later cleared–of domestic violence charges. If you need assistance or advice from a qualified Miami domestic violence defense attorney, contact the Law Office of Julia Kefalinos today.